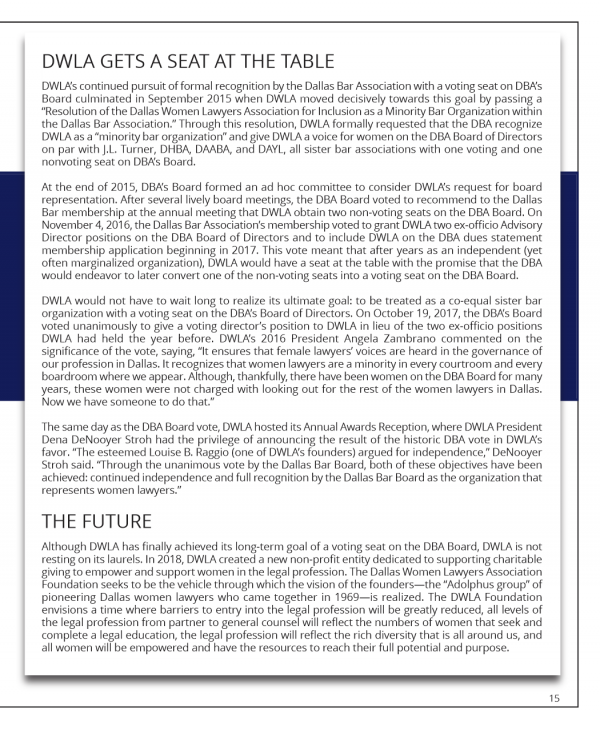 The idea of creating the history of the organization was conceived while Dena DeNooyer Stroh was President of the organization in 2017. 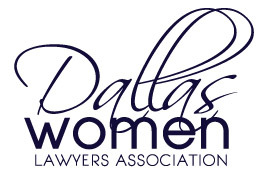 Along with Dena, a committee that included Tiffanie Limbrick, Heather New, Katie Bishkin, Angela Hough, Sam Abdullah and Maria Vizzo worked to compile the history from the beginning of the organization when a group of female attorneys in Dallas began to meet regularly to prepare programs and activities for the ABA Convention to be held in Dallas in 1969. 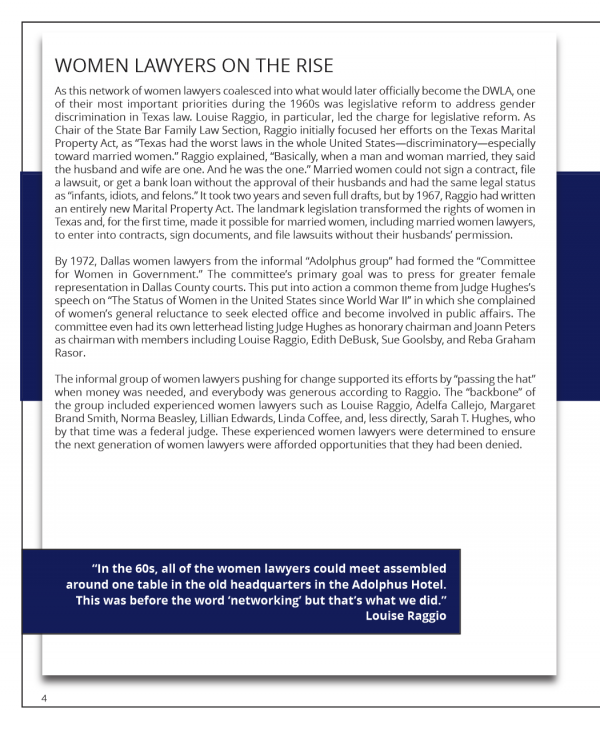 Founding members include Louise Raggio, Judge Sarah T. Hughes and Joann Peters. After their success at the ABA Convention, the group continued to meet informally for mutual support. 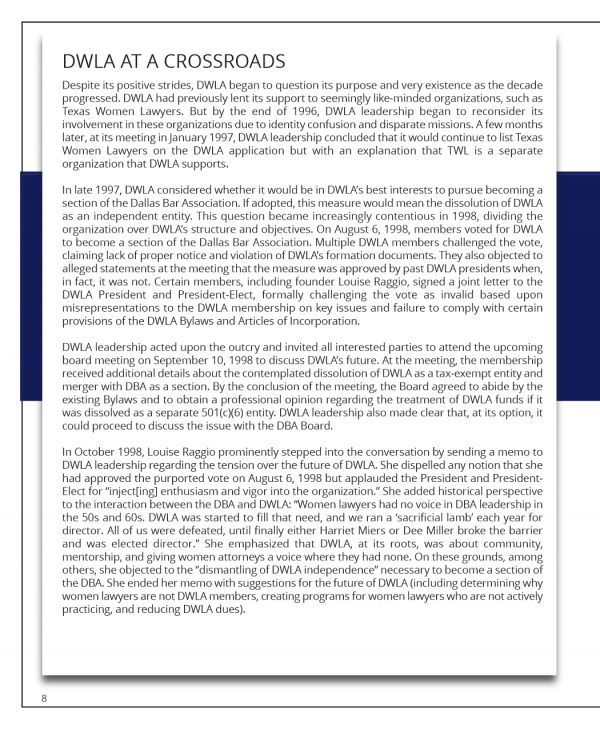 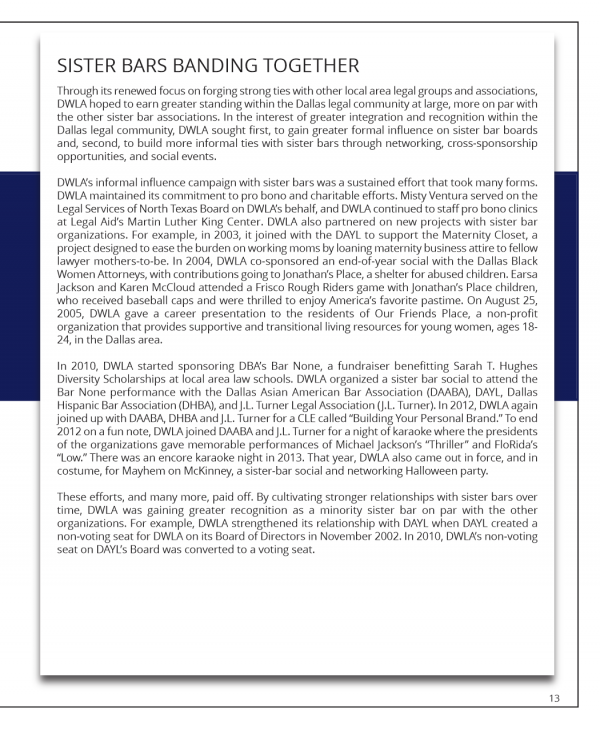 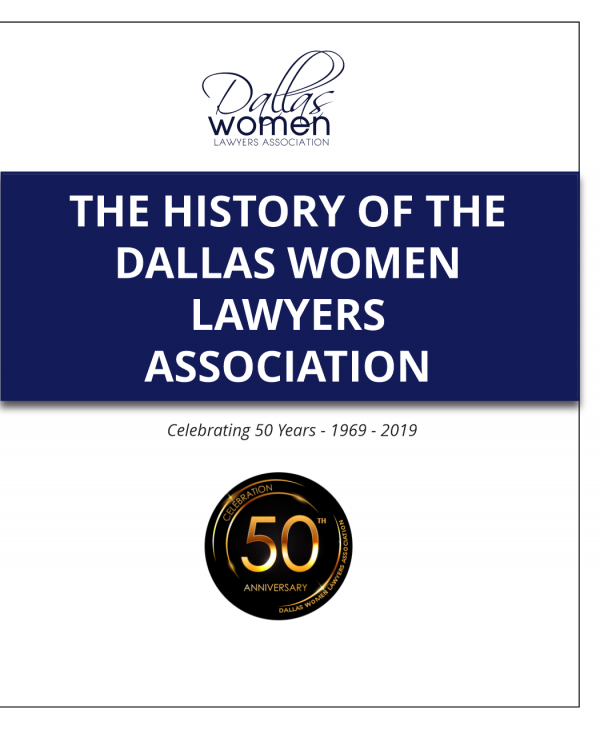 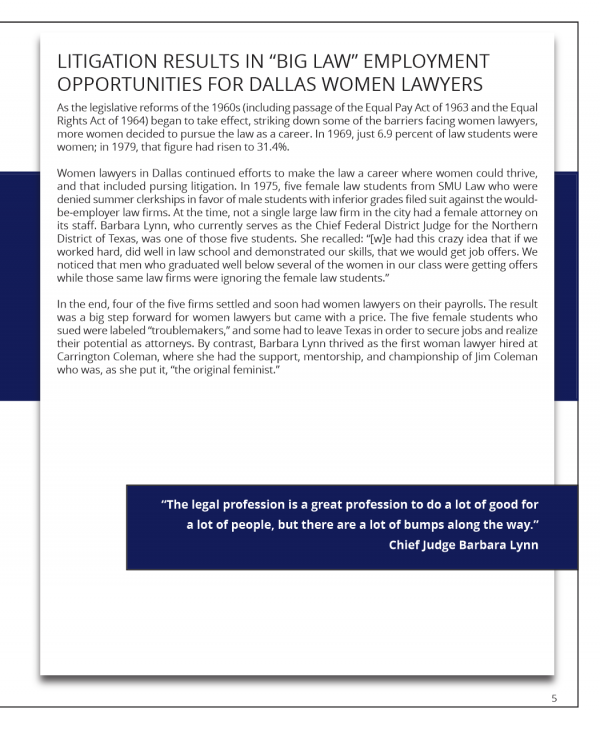 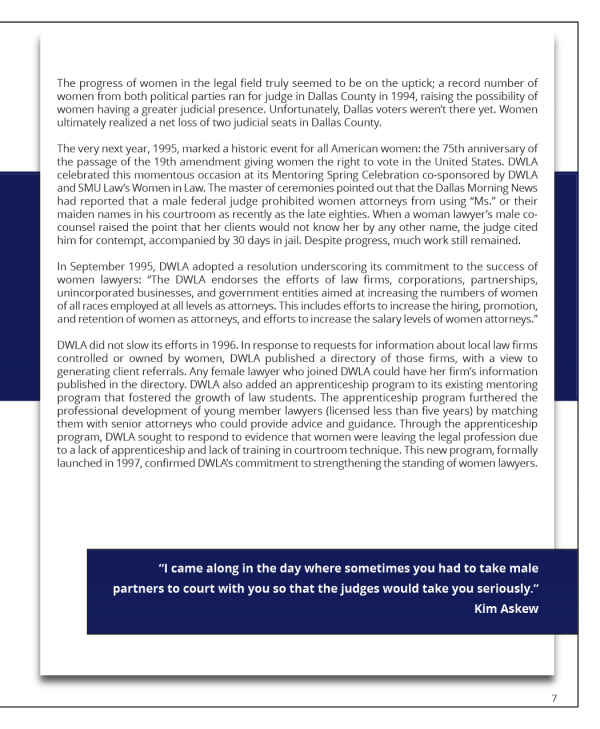 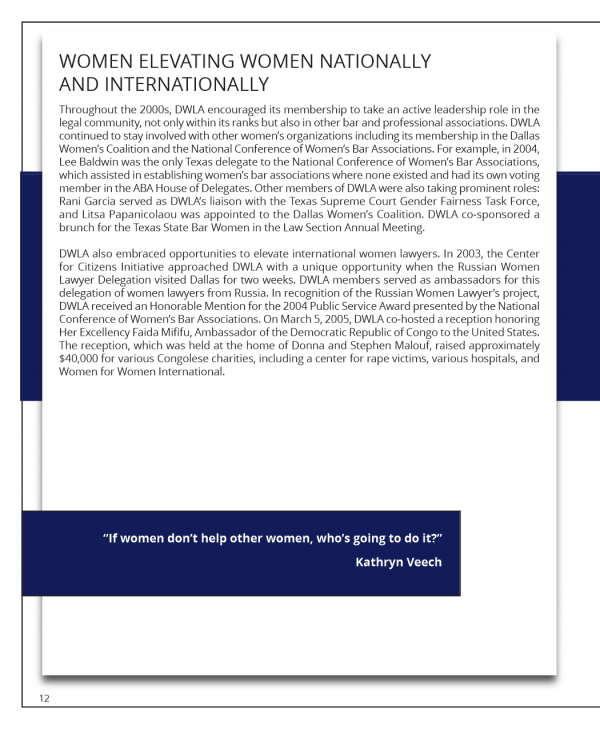 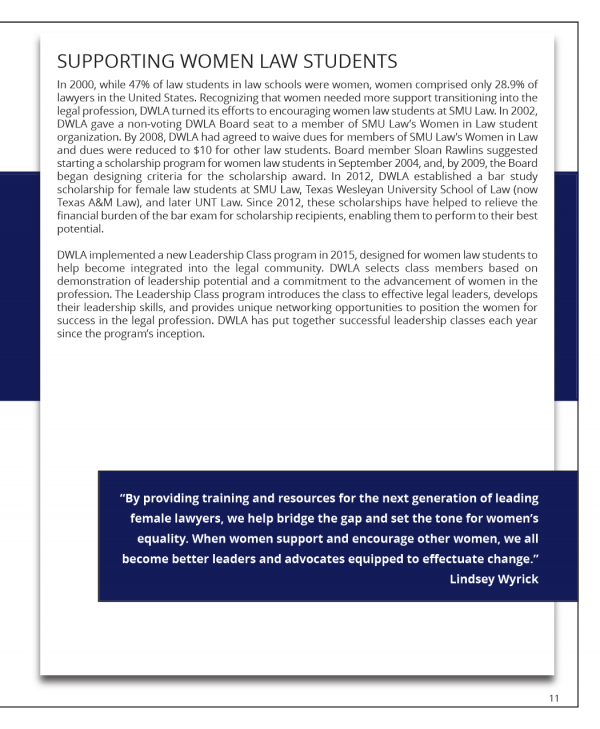 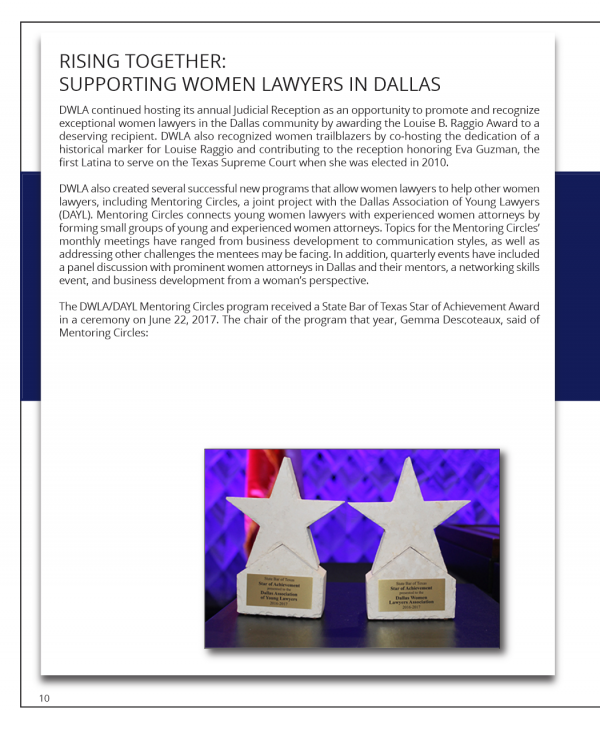 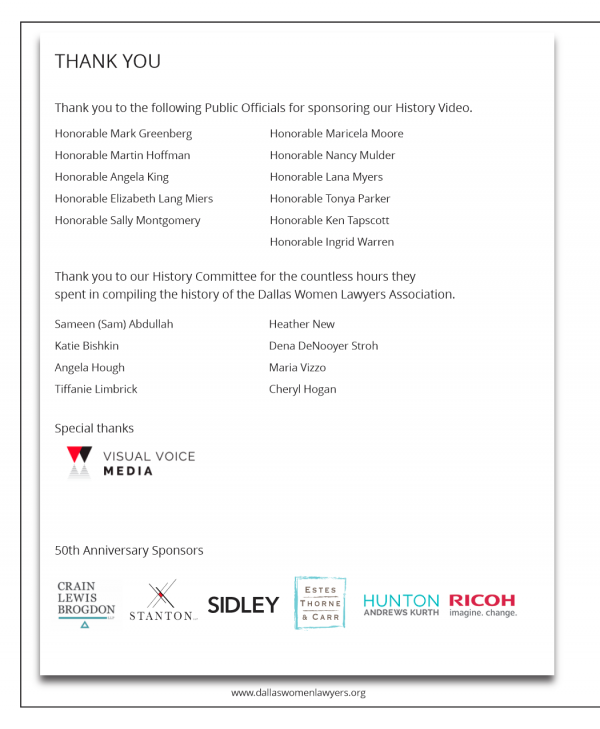 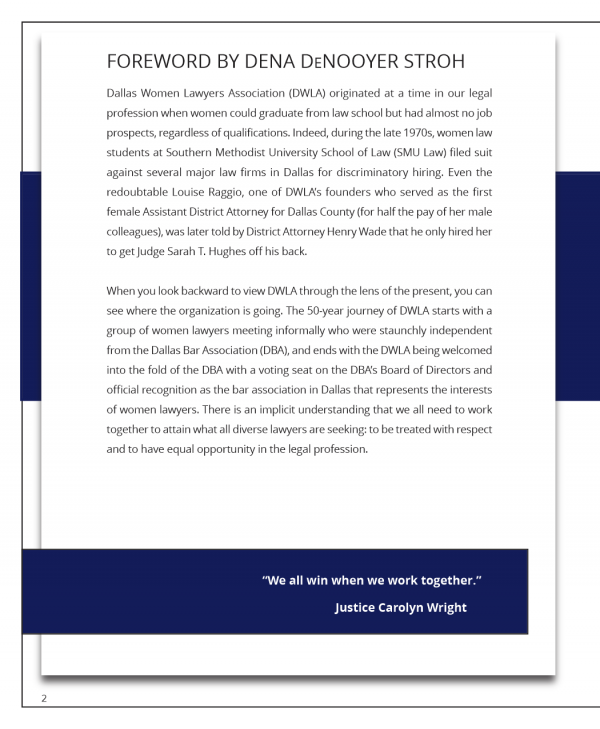 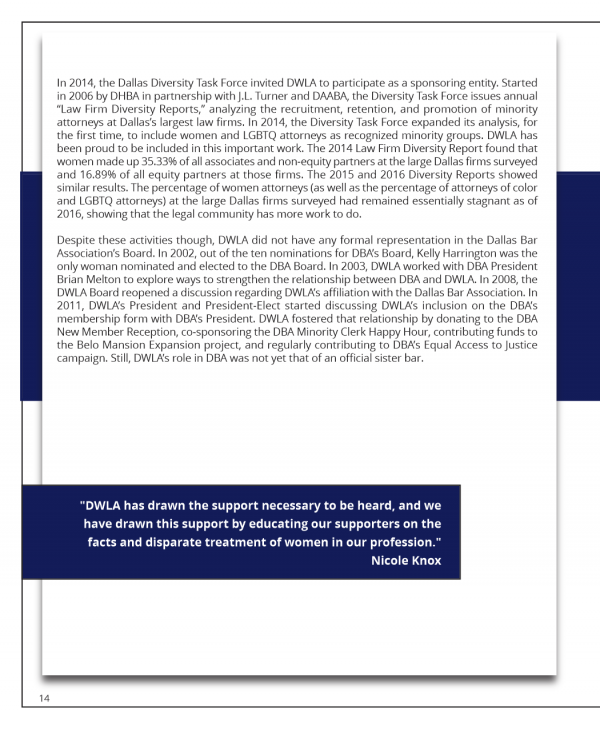 The History of DWLA made its debut at the 50th Anniversary Reception of the Dallas Women Lawyers Association at the Old Red Courthouse and Museum on March 27th, 2019. 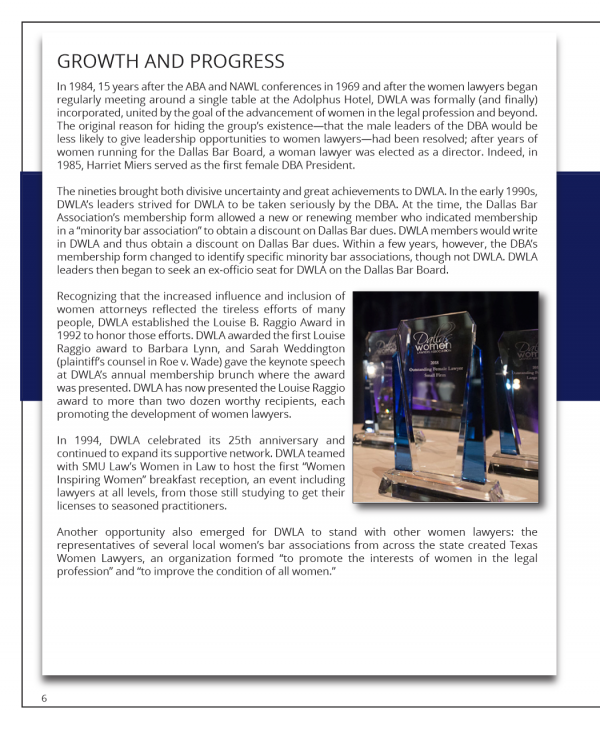 The video History of DWLA included several past DWLA Presidents, Louise B. Raggio Award Recipients and Board Members. 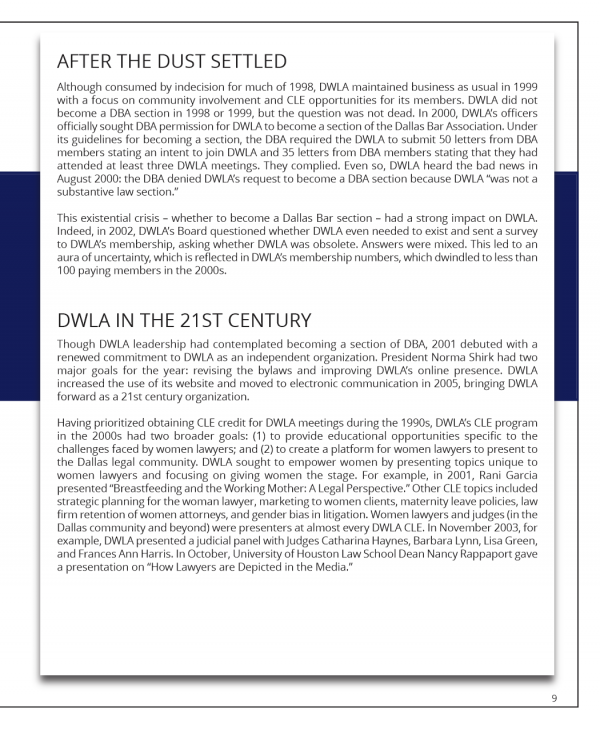 Production of the video was provided by Visual Voice Media.